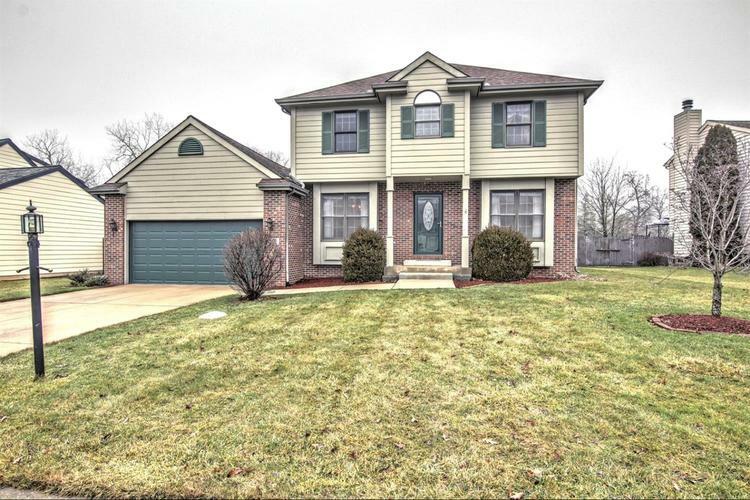 Tremendous 2-Story with attached garage. Welcome home to this 3 bedroom 2.5 bath home. As you step in notice the All Steel new 2018 front door. Enjoy mealtime, whether it's in the dining room or in the eat-in kitchen looking out the bay window. The kitchen has oak cabinets & all appliances needed for that inner chef. The living room boast a warm & cozy fireplace. Each of the 3 generous bedrooms have walk-in closets. This home has a den with French doors. If that is not enough space, enjoy the finished basement. Need upgrades?? This home has been recently painted in 2013, with a new roof in 2005. The garage and garage door opener was replaced in 2011. Furnace replaced 2008 and sump pump in 2016. A wood deck that was re-stained in 2018 opens to a spacious landscaped yard. Located close to schools, shopping and has easy access to the major highways. This home is impeccably maintained. Directions:Waverly Rd to E Oak Hill Rd, West to entrance of Hunter's Glen, left on Pheasant Run.